Rafting requires no initial training or any special skills. It requires curiosity about the unknown, the new, the different. We strongly suggest that you and your friends embark together on this adventure. Shared with the loved ones, it remains an experience that connects and unites. We feel the closest with the people who have done extraordinary things with us. 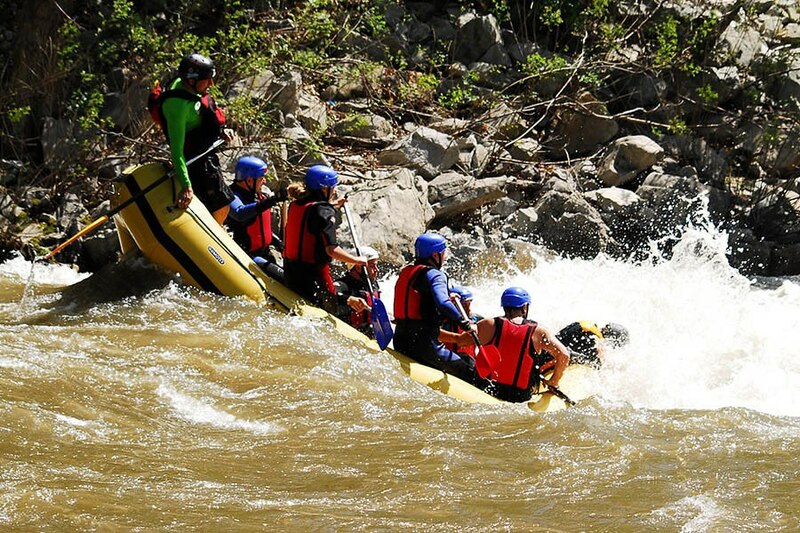 1.Rafting relieves stress and tension. When you are in the river, you are focused entirely on the moment. There’s nothing to distract you. At this point it is just you, the crew and the river, everything else remains in the background. The descend on the Struma River will undoubtedly leave you speechless and will charge you positively. 2. The Struma River is a great place for rafting. The most technical route in the Balkans. It offers many and varied opportunities for water adventures. The river is a pool drop – alternating rapids with quiet places characteristic of class 3-4 rivers. A sight that unfolds before us is unique – the surrounding countryside is breathtaking us. 3. Rafting is suitable for both large and small, young and old, men and women – everyone can find something new in themselfrself with this experience. Oldest man who personally I / Borislav Paunovski / descended on a river is a 83 years old, and the youngest – 6 year old boy. 4. 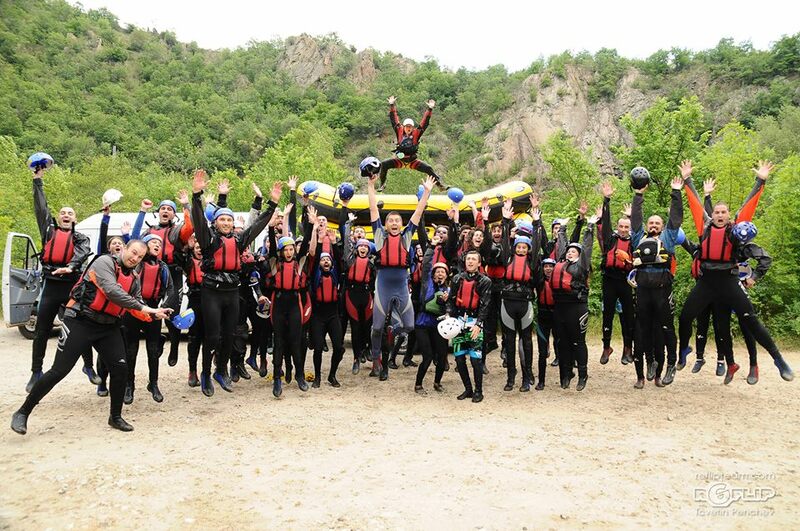 Rafting can meet us with new friends and rallying the existing teams is amazing – as in no other group sports. Adrenaline and dynamic environment it apart from other sports. Unlike jeep safari in nature, here you navigate the boat, you’re the engine but there is no noise that distracts you. Separately, the whole environment around you is constantly changing and run at a frantic pace. 5. The guides that will teach you to properly paddle, swim safely, to love the river and have fun. Experience in the river is build for many years. Ego and ambitions of grandeur must be put aside in order to make accurate and objective assessment. In this way, the instructor/river guide can take correct decisions. 6. Kresna inns will provide restaurant with homemade freshly prepared meals to recharge after a two-hour rowing. Terraces above the river, with views of passing boats rafting is a perfect ending of your rafting adventure. Boarding for the first time on the boat for rafting, you’ll love the sport and what it gives you. No wonder – Struma River awaits you and will provide you with an experience you will remember for a lifetime! How to get to the Rafting center in the Kresna gorge of the Struma River. It is 1:30 minutes and 120 kilometers south of Sofia. You get the new Struma motorway, bypassing Simitli, enter the gorge go wrong tunnel and after about 1 km on the left is based on Kresna inns. The colors are black and green with a large sign Rafting center Reflip.